I've had a creative dry spell recently, but getting out the fabric this week really got my juices flowing again. Perhaps I just needed to mix it up a bit! This heart was cut from an old blouse of mine that I can't bear to part with because the fabric is so lovely. 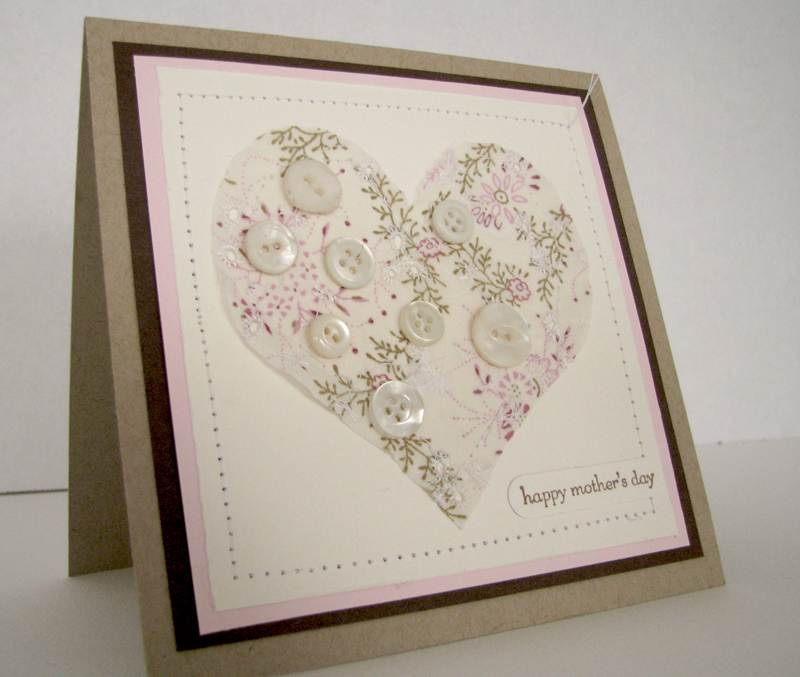 I made the card for Mother's Day and for Sarah Engels Greer's challenge this month. Check out all the beautiful samples she made - they're astounding! A beautiful card, I love the mix of paper and fabric! This is just beautiful Ali!!! Lovely & soft "feeling"! Ah, more snow. I'm ready for spring. 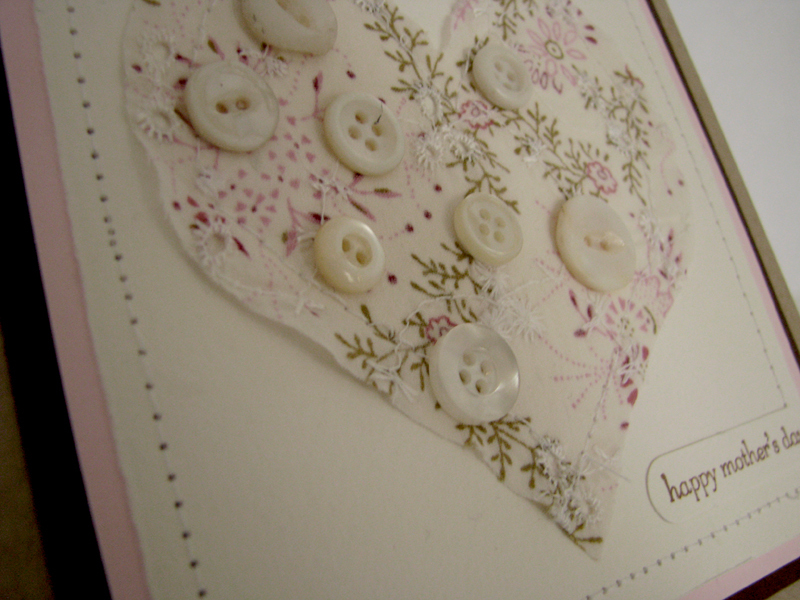 This card has a soft and lovely sring feel about it. Beautiful! This is so feminine! Love what you have done with a fabric heart! Beautiful! Love the fabric heart. Beautiful card Ali! Lovin' all the buttons!